Nubia: Ancient Kingdoms of Africa features over 120 objects illustrating the remarkable and distinctive aesthetics of Nubian art. The exhibition traces Nubia’s rich culture, which flourished in present day Sudan and southern Egypt, from its earliest kingdoms (3200–3000 BC) to the Kushite period (900–400 BC) during which Nubians rose to conquer Egypt and fought against the Assyrian empire. This is the first exhibition in New York in more than three decades to focus on Nubian culture, providing an unparalleled overview of these rich but little understood African kingdoms. This exhibition was organized by the Museum of Fine Arts, Boston. Supplemental material was loaned by the Metropolitan Museum of Art specially for the ISAW presentation. This exhibition was made possible through the support of the Leon Levy Foundation. 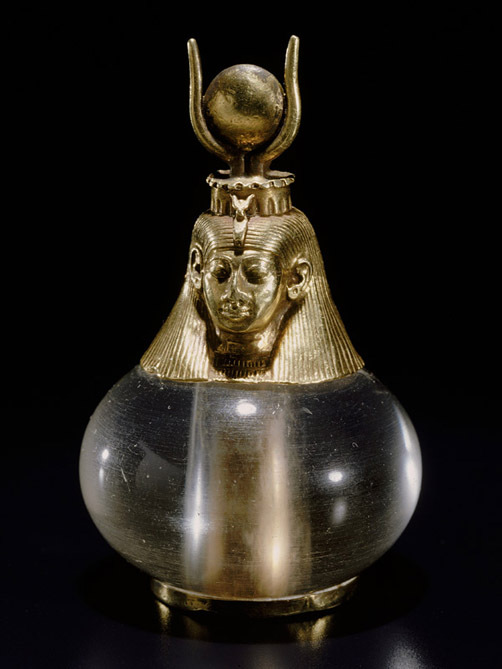 Gold and rock crystal, El-Kurru, 743–712 BC (Napatan Period, reign of Piye).